A severe misalignment has been identified between the preferences of HR leaders and their company’s business agenda. 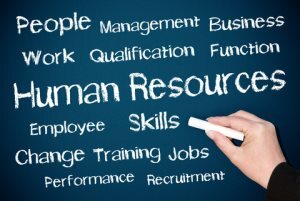 The findings from New Talent Management Network’s 2013 State of Talent Managers report have revealed that most HR leaders prefer “to help people grow and develop” rather than “help my company maximize its profitability.” Indeed, 77 percent of survey respondents were found to have entered their career in human resources for humanistic reasons. However, the minority who were more capitalistic perceived quicker career advancement and were more willing to make sacrifices in order to pursue their ultimate career goals. The survey also found that just 11 percent of talent management and HR leaders had executive aspirations and 25 percent were chasing the position of Chief Human Resource officer. Most HR employees working in the domains of talent management and learning and development did not seek to move beyond their narrow sub-field. The data suggest that HR’s influence on overall corporate agendas is minimized, since HR experience is rare in senior executives. Most HR leaders feel that their views do not negatively impact their influence with 68 percent perceiving themselves as role models or “very capable of being a trusted executive advisor.” Eight out of ten HR business partners reported being good role models or very capable in the primary talent management functions.